Update (7/19/15): Great news from Robin Grearson: “A conference was held at this office last week in regards to claims filed….a preliminary resolution was reached between all parties.” Read here. A year ago this month, arts and maker-education center 3rd Ward permanently closed in Brooklyn and Philly, stranding some students in the middle of their classes, holding thousands of dollars’ worth of student fees “on account,” and without paying the final invoices of at least 53 freelance instructors. While a capital fundraising campaign was ongoing in late September, 3rd Ward founder and CEO Jason Goodman took his Montauk property out of his name and transferred it to his partner. It is understood that by this time, Jason Goodman was only a minority owner in the company, so when 3rd Ward ceased operations, one staff member indicated in emails to a few instructors that the investors had taken the reins. This investor list includes billionaire Tony Hsieh and some very high-profile New Yorkers. 3rd Ward never declared bankruptcy, it just never paid its instructors, never refunded course fees. Investors and the board have so far just walked away, for the most part anonymously. To date, neither the Department of Labor nor the District Attorney has expressed an interest in investigating 3rd Ward or its business affairs. At one time the Brooklyn location had an active roster of 125 instructors; many had been with the company for years. Their ongoing gigs, and pay, disappeared without a word of warning. Mayor DeBlasio recently introduced Digital.NYC and explained enthusiastically how this online resource will, among other things, efficiently connect startups to investors. For experienced investors looking to jump into the next big thing, a fast-lane matchmaking service, really. As a former instructor of 3rd Ward, I cringed. 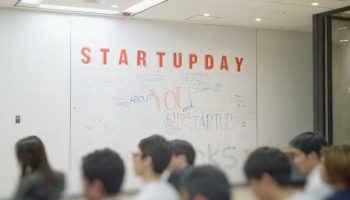 Not all startups should seek or accept venture capital funding, but streamlining connection points between the two takes as a given that this is the way things work. This premise obscures alternative, less-traveled paths to success, and implies that success is defined only as profit. The usual narrative is not the only one, but nowhere in the presentation did Mayor DeBlasio caution entrepreneurs to exercise caution when considering venture capital funding. A recent essay by Kickstarter alum Andy Baio about social-network Ello’s relationship to VC funding clues in founders to the issue better than I can, but briefly: Baio explains that investors’ purse strings are tied to pressures and expectations. Accepting investment dollars brings compromises and sacrifices, and it is not the terms of the contracts but the implications and eventual impact of the funding that may not be apparent to entrepreneurs with limited experience. The essay describes venture capital as actually more like an exit strategy. While Baio’s essay was mostly about Ello, his piece made me wonder how wide the gap is between the knowledge the investors have and the knowledge the founders have about how the startup-investment marriage works. I was an instructor and one-time member at 3rd Ward, and I spent last summer researching how a bootstrapped startup survived for years on its own but failed when investors came along. Was 3rd Ward caught between developing as a bricks-and-mortar business and the lure of becoming an ed-tech startup? So far it seems to me that investors may have pulled the company in both directions at once. Real-estate investors looking to capitalize on the growth of maker trends saw an opportunity to invest in property ahead of future 3rd Ward locations, and tech investors saw a maker-incubator that could turn creatives into startups. Somehow, 3rd Ward was supposed to be an engine that would drive gentrification as well as an entrepreneur factory providing investors (and the world) with access to the next wave of startups. 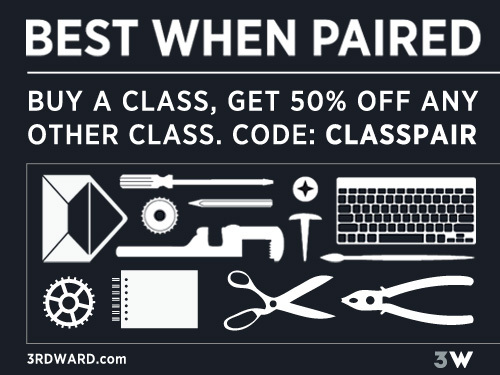 No one said publicly that 3rd Ward was developing as an online educator, but previous co-owner Matthew Blesso had announced plans to scale the business, and it’s safe to assume this did not refer to simply offering a few more classes per month. 3rd Ward did not begin with a mission to develop online courses, however. 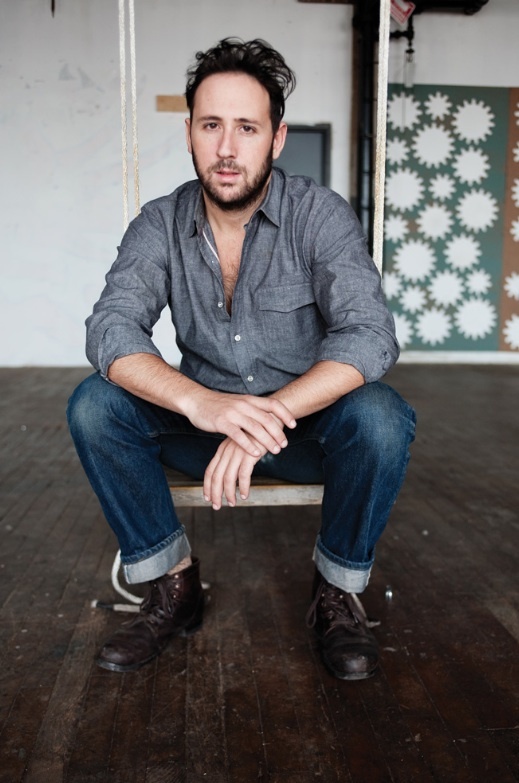 Jason Goodman created a Brooklyn-based business that offered people a way to make whatever they wanted to make, space to do it and, later, classes to learn how. He hustled and borrowed and cajoled and people donated equipment until ultimately 3rd Ward’s success, I imagine, exceeded his wildest expectations. And then, investors came. Lots of investors. It’s often said his new social circle went straight to his head. To understand 3rd Ward it may be necessary to consider Bushwick itself at the time that 3rd Ward Brooklyn was nearing the apex of its popularity. I started teaching at 3rd Ward in 2011, and I lived in a studio around the corner. If you want to call this neighborhood Bushwick instead of East Williamsburg, then “Bushwick” the arts community had already been forming for a decade, born mostly from transplants who shared warehouse-converted lofts or lived in their studios, despite the loft law and despite landlords’ ongoing efforts to push residents out. The community ate at Life Café and El Fogon and drank at a couple local dive bars and shopped at bodegas, mostly. Locals went to Roberta’s, but given the prices it was mostly just a special-occasion place. 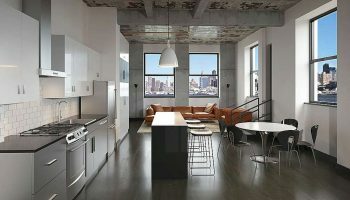 Of those who had lived in Bushwick for up to a decade, many felt 3rd Ward was too expensive and had an attitude problem. Critics also noted that 3rd Ward benefited from a pubic misperception that it was a collective or a non-profit. Still, it had grown out of this community, and thousands of locals could check out free parties or art shows or networking events there, even if they were not members. In that way, 3rd Ward was a democratic hub and neighborhood anchor that many membership-driven communities are not. Makers started small businesses. Artists started galleries and opened their studios to each other. All-volunteer organization Arts in Bushwick reached out to the more numerous Spanish-speaking residents, trying to bridge language and cultural gaps with events that would unite the neighborhood. This community was DIY and makeshift and improving itself, the efforts of residents who moved to Bushwick in the late ‘90s and early ‘00s. In addition to unpaid instructors, people who paid for classes at 3rd Ward never got refunds. 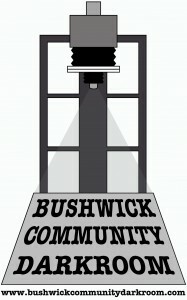 About 3 years ago, loosely the time 3rd Ward began accepting outside investment, Bushwick was a fairly tight community. Living there was pretty great, actually. There was a feeling that you only had to think of something and you could realize it, with a little help from your friends. But more important, making the thing real was more important than making the thing profitable. This is the ethos that attracted artists and how Bushwick had grown, organically, into a singular place where 3rd Ward could thrive. Bushwick today is becoming the opposite of livable for artists, a fact many locals lament despite Bushwick being recently named by Vogue as one of the coolest neighborhoods in the world. Opportunistic flyers scream, “Your Art Is Our Brand”; billboards replace street art or empty space; a mall and hotel are coming. When artists are displaced from their apartments, studios and businesses, there is no longer comparable housing to be found in the neighborhood. As they look around, the landscape is discouraging. Residents who are passionate about helping each other and building a culture have been leaving Bushwick, leaving Brooklyn, leaving New York City, as Bushwick the tourist attraction becomes a cartoonish artifact of itself. 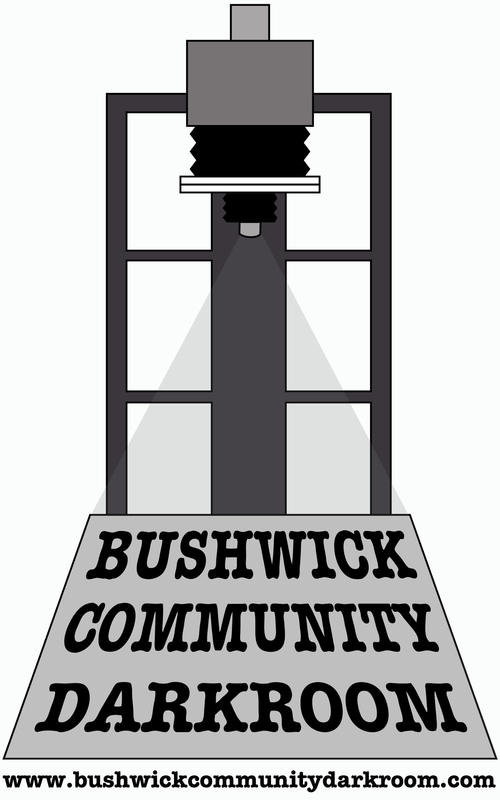 The stories of Bushwick the Next Big Whatever mask the corporate momentum that is causing the dilution and dispersal of yet another artist community and the closure of some of Bushwick’s longstanding businesses. I understand why an investor would want to bottle the evolution that took this neighborhood about 14 years of hard work and a lot of serendipity to create. Culture is a difficult thing to replicate or monetize, but betting on 3rd Ward was investors’ best hope. But, apart from any real-estate side bets they made, they failed. In attempting to launch a second location in Philly, 3rd Ward faced a proud hometown team with strong civic pride who wanted to know, What the hell is so great about Brooklyn, anyway? Philly mostly closed ranks and rejected 3rd Ward (and Brooklyn Flea, which opened and closed in 2013) as interlopers. Many 3rd Ward instructors told me this summer, and I agree, 3rd Ward had no business in Philly. This is what happens with investments, and gambling: you win some, you lose some. But this loss was also happening to a community. The demise of 3rd Ward was not as simple as investors walking away. Or rather, it was perhaps too simple for investors, because it was far less so for the community. If you count teachers, then up to 100 people who were still working with 3rd Ward last October lost their jobs. Business owners who were tenants of 3rd Ward’s coworking space had to move, quickly, despite contracts. Fifty-three teachers have said they not only never got paid, but they were never even acknowledged by the CFO whom 3rd Ward directed them to contact. A few instructors filed claims with the Department of Labor stating that course fees were essentially wages—but the Department of Labor never took action: no instructor was able to collect unemployment. If I gathered all of the investors into a room, many of the same high-profile, high-net-worth millionaires whom Mayor DeBlasio is seeking to now connect seamlessly with tomorrow’ tech stars, I would ask: did you deadbeats ever intend to pay the teachers? Because you never refunded the money 3rd Ward students paid you for their work. Tech startups typically push historically offline activities like learning and shopping online and render local service providers obsolete. When the competitive advantage of online scalability knocks out Mom and Pop, such as the case with Amazon versus bookstores, Starbucks versus the local café, the community always feels that something authentic and homegrown is being irrevocably lost. And they are often right; often what is lost is a business that evolved to meet a community’s needs precisely. 3rd Ward’s growing pains were perhaps a taffy-pull between its local-business roots and a possible future in online learning. 3rd Ward was so custom-fit to Bushwick (and perhaps nowhere else) that millionaires falling over themselves to write checks to Jason Goodman as reward for his “vision” were likely overlooking that a large measure of 3rd Ward’s success could be attributed to the less easily monetized locals who showed up there to build and make things. Not everything can or should be scaled or exported or grown to as large as it can be, just because it looks possible. 3rd Ward was pushed toward a scalable model, it stopped providing consistent value to its community, and it collapsed. If New York City wants to maintain an edge as a creative leader and its brag as a home for local businesses, it needs to recognize that businesses and artists who prefer to stay small and firmly connected to their neighborhoods are no less deserving of resources, no less critically necessary to New York’s success, than digital startups. For instance, no matter how trendy film photography becomes, the member-run Bushwick Community Darkroom is never going to ship jobs offshore or leverage economies of scale to increase revenues by a factor of 100. Despite this, the business is an essential resource for local photographers, and it is struggling to find space it can afford in Bushwick. The member-supported, locally focused Mellow Pages Reading Room is another important but endangered species that serves writers and nurtures connections among Brooklyn’s young writers. Tech startups may need funds to thrive, but artists, makers and writers often define success as simply having a community—a feat which requires stable apartment and studio rents, local businesses who understand their needs, clients who pay their bills. Artists have come to expect very little in resources from cities, but is even a crumb of support too much to ask? 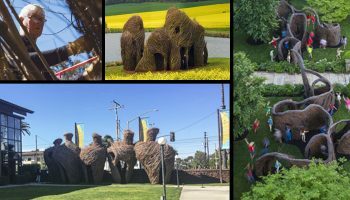 With just a little corner of a neglected neighborhood in an unhip part of town, artists worked, together, with donated materials and a few tools and ideas, to create one of the coolest neighborhoods in the world. Now investors and property developers are capitalizing on this culture, driving rental prices to absurdity and accelerating the pace of gentrification beyond either sustainability or affordability. In 5 years it is hard to imagine any local artist without a trust fund will still live in Bushwick. New York touts itself a city of diversity, but as the cycle of displacing another “artist neighborhood” repeats, where is the city’s respect for a plurality of ambitions, where is the freedom to define “success” differently from the 1%? Glaringly absent from Mayor DeBlasio’s unqualified endorsement of Digital.NYC, a service which all but serves startups to investors on a plate, was the value of staying DIY. Yes, Mayor DeBlasio is accountable to the constituency who wants Silicon Alley to beat Silicon Valley, or whatever. I get that. But the mayor is also accountable to help New York City return to affordability and opportunity for people who believe it is more important to serve their neighbors than to serve the masses. Bricks and mortar businesses should not have to be scalable or venture-funded to carve out a secure place in their communities. Tech giant Livestream has moved into the former 3rd Ward space. While it’s possible that 3rd Ward was always unsustainable, Mr. Goodman had for several years found a way to keep the balls in the air and a roof over makers’ heads. For all his flaws, that is a checkmark in the plus column. It seems that investors wanted everything at once and didn’t want to pay for it, so 3rd Ward collapsed and the community had to foot the bill. Paying the teachers for their work seems the least the directors could have managed. Instead, after operations ceased, owners spent time pursuing a number of strategies to sell the company and its assets. During this period, there was an absence of any accountability to or communication with instructors regarding their paychecks. Any contract worker at any startup could share this fate someday. Around the time 3rd Ward closed, a few teachers heard word that they might perhaps see a portion of what they were owed, if anything was left after the biggest debt was paid (a loan from an investor-backed fund) (meaning: probably never). In other words, we’re sorry, artists, that our speculating cost you your jobs and your neighborhood institution, but we’re going to take care of our own. This is the opposite of community investment. The dissolution of 3rd Ward was sloppy and rude and lacked even basic ethics. This is the opposite of where City officials should be driving New York’s startup community. Venture capitalists are going to keep playing with startups like it’s a game of roulette, because they can, and because sometimes when they bet both red and black, it pays them 1,000:1. Fine. But come on, deadbeats. Pay your bills. 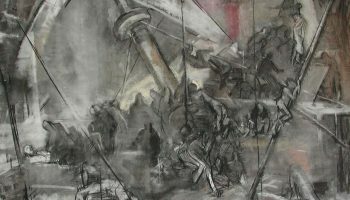 This is the first piece in our new column, Art in Context, curated by Chiwan Choi, where we explore the impact of art, artists, and the business of art in both the building and exploitation of communities. Thank you for this article, CW. Sobering and important issues and questions. How we will thrive in the new era. My hat is off, and my empathy is sent to the people of the Third Ward. My personal favorite takeaway from all of this was the conversations I had with Jason Goodman. While living in my car trying to piece together the life I once had in Bushwick and using my lifetime membership that had been purchased years ago from borrowed money, I would talk to Jason just to make sure this wasn’t going to disappear. He assured me every time that 3rd ward wasn’t going anywhere. I believed him and trusted him. I hope he has to live with the pain and anguish he caused all of us for the rest of his days. thanks for sharing this personal experience. let me know if you’d like to write your own piece about this. DM me on twitter.